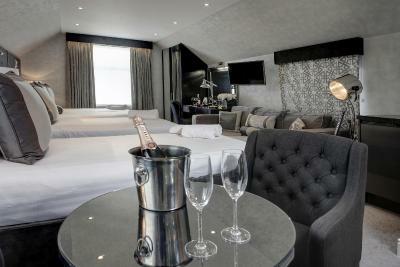 Lock in a great price for Best Western Chiswick Palace & Suites London – rated 8.4 by recent guests! Location is good. Very close to the many amenities available in Chiswick. 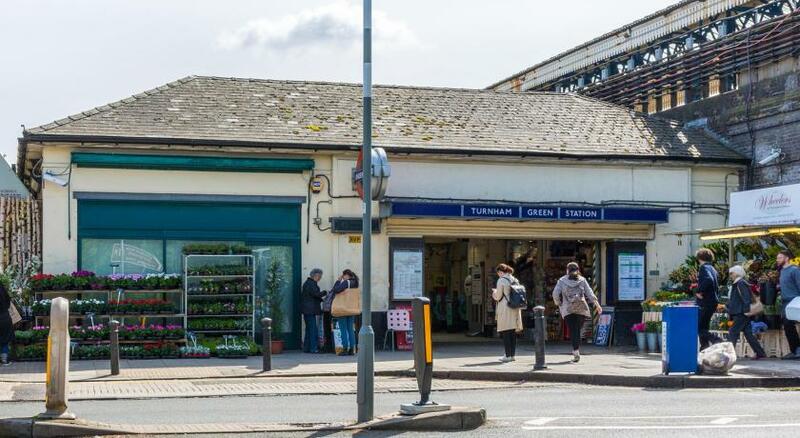 You can walk to Turnham green station in 15 minutes or take buses travelling to Hammersmith. The breakfast was excellent and the staff was very kind and helpful. Location was good for me sine I had to be around Chiswick. The breakfast at the hotel was good. Location is good, just a few stops from downtown. Close to the airport. 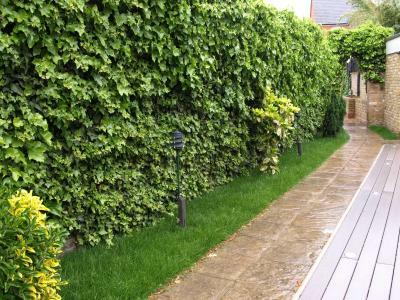 The location is good if you don't mind a very short ride on the tube to zone 1 (which personally I don't and I even liked), the daily tea and biscuits in the room were a very nice addition and the place is over all very well kept. This property was in a great location for Arts Ed. The staff were very friendly and helpful. Our room was beautiful. A suite, which was like a home-away-from-home. It had everything you could need for a comfortable stay. Just wished we could have stayed longer! Close to tram, bus, train station and not far from city center. It was my third time staying at this hotel because I know just to expect: cozy room, very comfortable bed, good location in a quiet and lovely area, close to two tube stations, good breakfast. 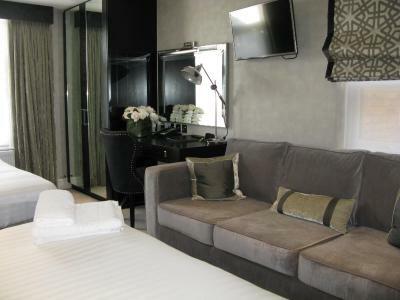 The price is very good and I'll definitely stay here again on other trips to London. 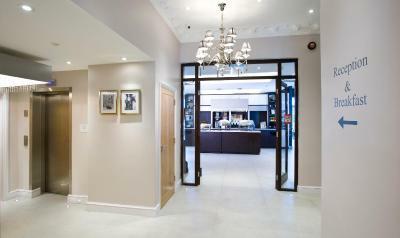 Best Western Chiswick Palace & Suites London This rating is a reflection of how the property compares to the industry standard when it comes to price, facilities and services available. It's based on a self-evaluation by the property. Use this rating to help choose your stay! 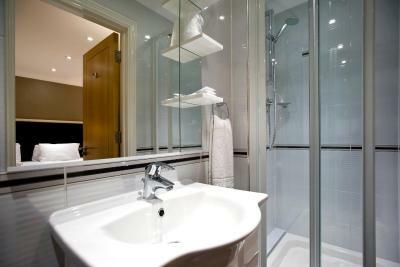 In an elegant period property, Best Western Chiswick Palace has modern rooms with free Wi-Fi. 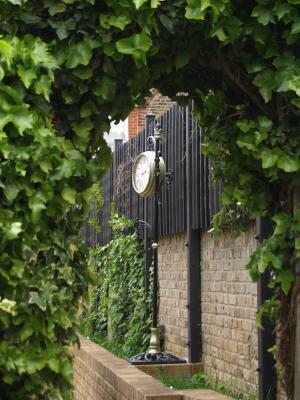 The hotel is in Chiswick, a 5-minute walk from Turnham Green Underground (subway) Station. 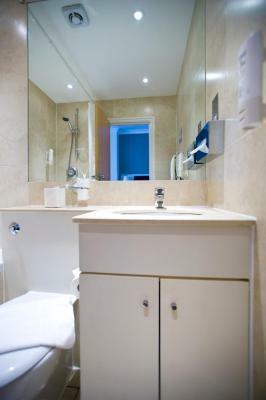 The colorful bedrooms at Best Western Chiswick Palace & Suites London have a private modern bathroom and a Freeview cable TV. All rooms have tea/coffee facilities and a hairdryer. In West London, Best Western Chiswick Palace & Suites is a 20-minute tube (subway) ride from central London. 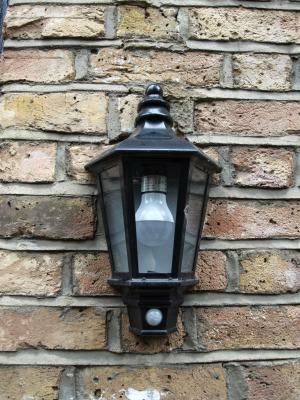 Kew Palace is 2.5 miles away, and the A4 and M4 highways are a 2-minute drive. Heathrow Airport is a 25-minute drive away. Chiswick is a great choice for travelers interested in convenient public transportation, culture and museums. 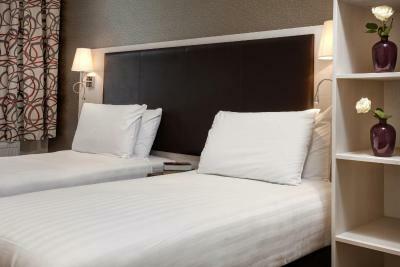 When would you like to stay at Best Western Chiswick Palace & Suites London? Hotel surroundings – This neighborhood is a great choice for travelers interested in convenient public transportation, culture and museums – Check location Great location - show map Guests loved walking around the neighborhood! House Rules Best Western Chiswick Palace & Suites London takes special requests – add in the next step! Best Western Chiswick Palace &amp; Suites London accepts these cards and reserves the right to temporarily hold an amount prior to arrival. Best Western Chiswick Palace & Suites London accepts these cards and reserves the right to temporarily hold an amount prior to arrival. There is limited parking available and on a first-come, first-serve basis. Guests can reserve a parking space for arrival, for a surcharge. Pictures from booking.com and the room I got were totally different pictures. Luckily the room and bed were comfortable and I wasn't there very long. I love everything about this hotel, I stay here regularly. On this occasion the bedroom was very small. Went to check in last hour last night and the receptionist was very friendly, helpful and made my stay amazing giving a solution to my little problem with my phone charger. Is very nice place felt like home. A little space to sit outside and able to enjoy the nice weather. The best is the prize, I was very surprise deffinately the best. Curtains useless in the morning so woke up very very early as so bright. Pillows not very comfortable. Great position, nice rooms, friendly staff. Some rooms are very small for double bed. Location, staff, cleanness and prices compared to other in the same area. for 3 people room bit small n shower room . ( bit humid but when air conditioning on is find. no place for dry 3 towels. should install extraction systems in shower room. Great location, nice rooms just a right size-Finally! Room was very small , would suit a single person . More suitable as a single room . Booked a twin room which was obviously a ground floor disabled room. No problem with that except EVERYONE entering and exiting the hotel walked past our door or decided to have conversations or wait for taxis. Had to go out a few times to ask people to pipe down. Sunday morning about 5.30am we thought there were drunks outside arguing. Couldn’t see anyone and still going on 2 hours later. We’re positive it was coming from the staff talking loudly in the kitchen. Whatever - it was damn annoying. Great big damp patch under the window. Could do with secondary glazing as the main road is very busy/ noisy. Welcoming and helpful staff. Clean bedroom and bathroom. Great breakfast but soya milk would be welcome alternative. Nothing I didn't like, it was all good. Really good value for money - I stayed the night before a course in Hammersmith which started at 9am on a Sunday. The room was not huge, but I was travelling on my own and just needed somewhere to sleep for the night, so it was not a problem. 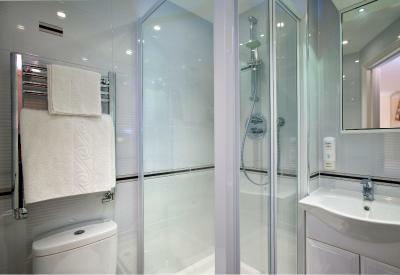 It was well furnished, clean, lovely bathroom with a fantastic shower and fluffy towels. The staff were very friendly - a bonus at the end of a long journey! The hotel was easy to find in the dark from the Tube, and I felt safe walking there on my own. Would recommend. The room was like a self contained flat rather than just a room. Bedroom decor was outdated Felt like the bathroom and communal areas had been updated but not the bedrooms. The cheese at breakfast was warm so might be worth keeping the continental breakfast items chilled. Beautiful decor in the communal areas. Lovely breakfast with lots of choice. Helpful and approachable staff.